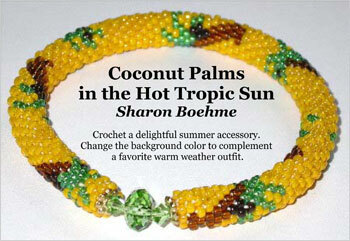 Crochet a delightful summer accessory. Change the background color to complement a favorite warm weather outfit. For basic bead crochet instructions please see the wonderful free tutorial created by Judith Bertoglio-Giffin, SEARCH using: 00000131 at Sova-Enterprises.com.